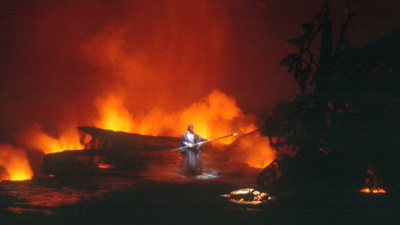 The waves of emotion that pour forth from the score make Die Walküre the most popular of the four Ring operas. 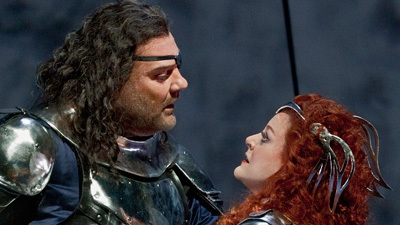 The incandescent Plácido Domingo (Siegmund) and Deborah Voigt (Sieglinde) portray the lovers who are also brother and sister. Jane Eaglen is Brünnhilde, the Valkyrie of the title, who is stripped of her godhood by Wotan, sung by the incomparable James Morris. The glorious sound of the Met Orchestra is on vivid display, especially in the Magic Fire Music that ends the opera.